Designed as a tool to organize and represent knowledge, an evolution concept map can help you visualize relationships between various concepts and test your understanding of complex subjects. Thinking through and visually representing relationships between ideas forms mental connections that allow for better retention of knowledge. 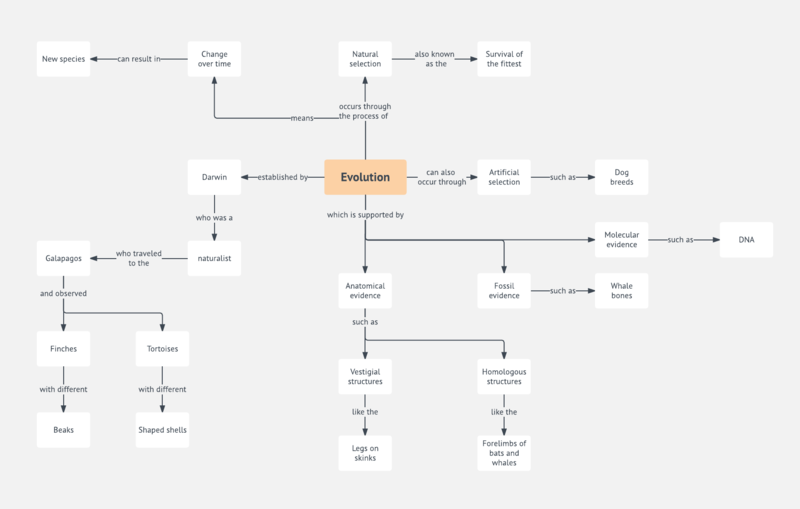 To edit this evolution concept map, simply sign up for a free Lucidchart account, then rearrange shapes and add your own text.